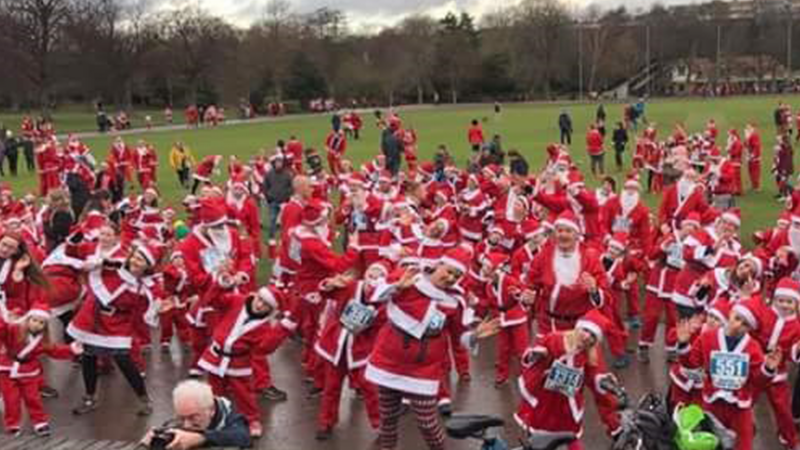 Following on from the success of the Santa Fun Run in 2016 and 2017 at Queen’s Park, Chesterfield, Cannon Events is pleased to announce the addition of the Unit 1 Martial Arts Clay Cross Santa Fun Run & Walk. The first ever Santa Fun Run to take place in Clay Cross! 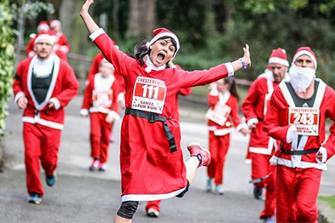 There will be 2 fun runs taking place on Sunday 16th December 2018. The first fun run starts with a warm up at 10.45am with the run/walk starting at 11am. The distance is 2.5km. The second fun run starts at 11.45am and is 5km long. The start and finish for the event will be inside Sharley Park. Parking for the event is available at Clay Cross Community Hospital, just a short walk from Sharley Park. All those who enter will receive a Santa suit, together with a goodie bag and medal. Santa Suits and Participant Numbers can be collected from Sharley Park Leisure Centre on the 15th December from 12 noon until 3.30pm. The Bret Club will be open and serving Mulled Wine, hot roast chestnuts, tea and coffee etc. Please come along and support this community event.